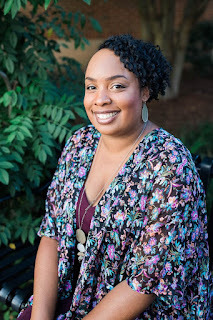 ﻿Having natural hair, my edges never seem to lay down, but I heard of a gel called Eco Styler Olive Oil Styling Gel to help out with my edges problem. When I first used the gel, I rolled up my hair at night and put some gel on my edges and wrap my hair with a scarf and then went to bed. The next morning after taking down my scarf I've noticed my edges were laying down to my scalp and not hard to the touch like some gels are when dried. During the day, I've noticed white flakes around my edges like bad dandruff. When I went home, I had to rewash my hair. To prevent the gel from flaking, I have to put some type of hair butter on my edges first and then add on the Eco Styler Olive Oil Styling Gel. African American women in the natural hair community swear by this product and I do not know why. It does what it's suppose to do but I do not like the flakes and the container clearly says the gel doesn't flake. It's a very cheap gel so I can't really complain but the gel does do its job by giving my hair good hold. Is Eco Styler Olive Oil Styling Gel Worth a Try? ﻿As long as you add some type of hair butter or moisturizer first, it's a good product to use. 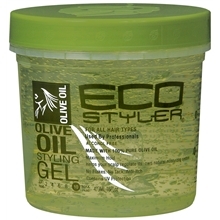 Have you tried Eco Styler Olive Oil Styling Gel? If so, did it make your hair flake?